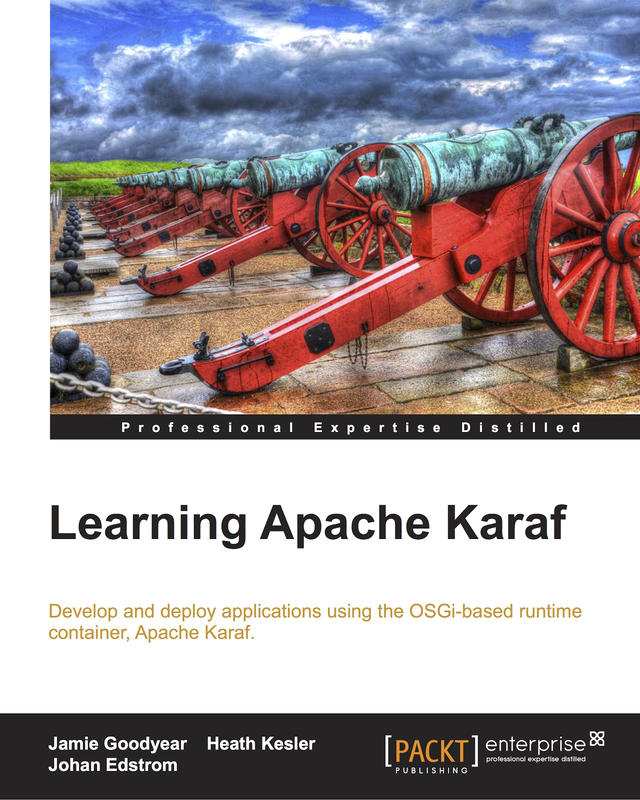 The Apache Karaf team is pleased to announce the availability of Apache Karaf 2.2.8. This release of Apache Karaf is based off of the 2.2.x series branch, representing an update to Apache Karaf 2.2.7. 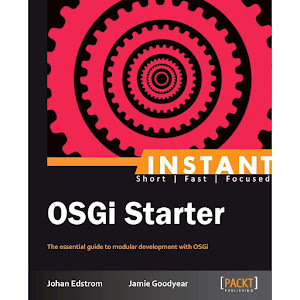 It contains bug fixes identified in the prior release, and introduces improvements including; A command that can not be loaded no longer breaks the whole completion, removing a KAR now uninstalls the shipped features, and SSH keystore is now compatible with IBM JDK. Several dependences were also updated, bringing ServiceMix Specs to version 2.0, pax-logging to 1.6.7, Jansi to 1.9, JLine to 2.7, Felix Utils to 1.2.0, Felix FileInstall to 3.2.4, and sshd to 0.7.0. It was noted during the release cycle of this patch that the community needs to take a tighter stand on functional changes in the code base - sometimes bug fixes may break functionality other users have come to depend on. To help mitigate this issue we're looking at making branching a more common occurrence in the future. Once Karaf 2.3.x is out, expect to see a 2.4.x branch come into being to collect any new features or functional changes. 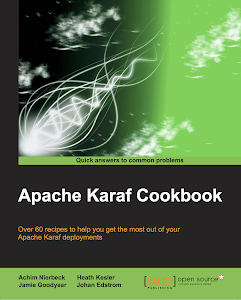 Preparing for Apache Karaf 2.3.0! The first release of the Apache Karaf 2.3.x branch will be soon entering the planning phase, as such I'm preparing for the release management role. To prepare I've selected a bottle of La Cour Pavillon Bordeaux Merlot - Cabernet Sauvignon 2009 to decant while listening to some Esthero albums. Current high lights of this new branch include an upgrade to Felix Framework 4.0.1, Eclipse Equinox 3.7.1, OSGi Compendium 4.3.0, and a multitude of other supporting libraries. All of the updates seen in this kit would have broke compatibility if applied to the Karaf 2.2.x line, hence this new branch (command syntax remains the same however, so its part of the 2.x family - see Karaf 3.x for major changes). The release notes for 2.3.0 have not been drafted at this time, so many more new features, bug fixes, and innovations will make appearances in this RC. Unfortunately I can't share the wine with you, but I can share a few links to some Esthero videos. I'm looking forward to starting the 2.3.0 release process soon. The eighth maintenance release of the Apache Karaf 2.2.x branch will be soon entering the planning phase, as such I'm preparing for the release management role. To prepare I've selected a bottle of Marques de Casa Concha Pinot Noir 2010 to decant while listening to some Metric albums. Current high lights of this patch include updates to Pax Web 1.0.11, Pax-Logging 1.6.7, and Jansi 1.9. A complete change log will be created for the Release Candidate once the community is ready to put it to vote. 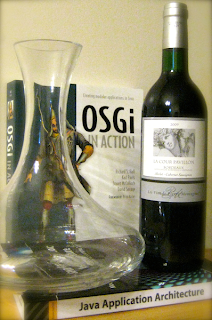 Unfortunately I can't share the wine with you, but I can share a few links to some Metric videos. I'm looking forward to starting the 2.2.8 release process soon.